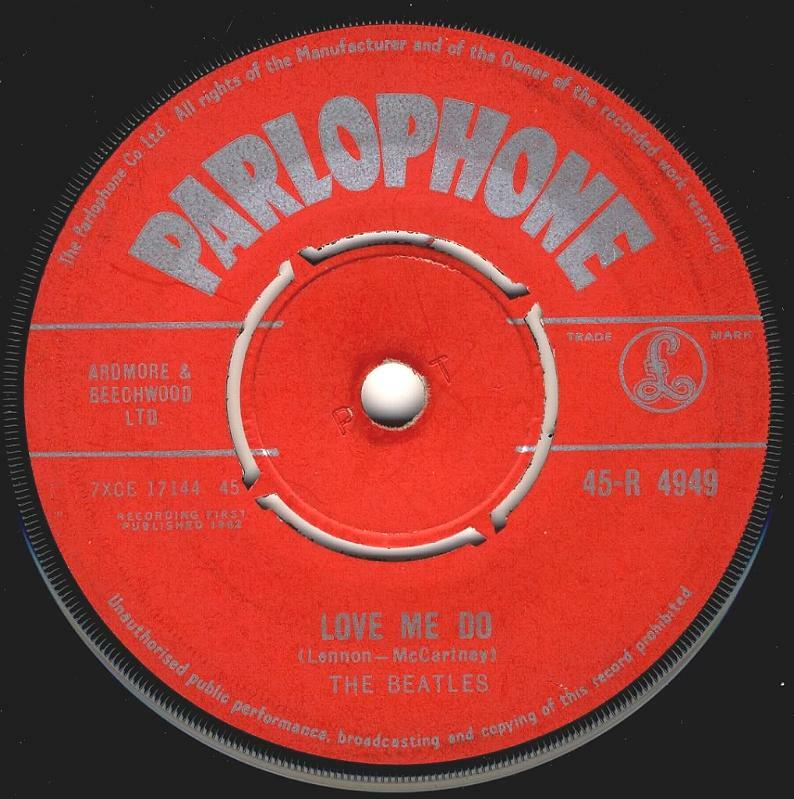 The Beatles Collection » Parlophone 45 labels. 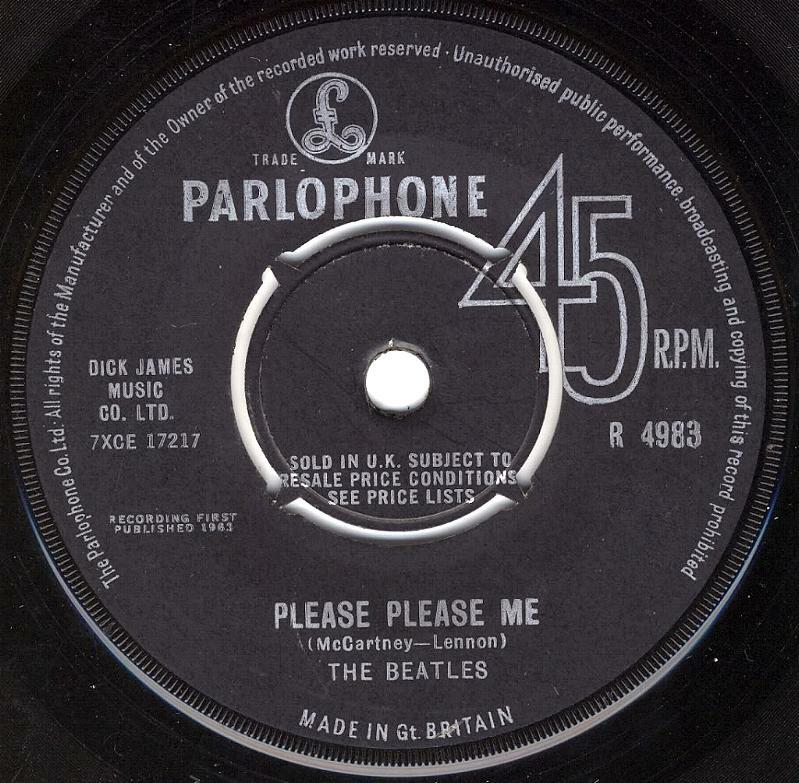 Parlophone started new 45-R series in 1956, but EMI started to print the publishing year on the labels in 1957. It was printed as “RECORDING FIRST PUBLISHED 1957” on the left side below the horizontal lines at the the center of the label. Between the record numbers 45-R 4949 and 45-R 4988, it possible to find singles where the words “MADE IN GT. 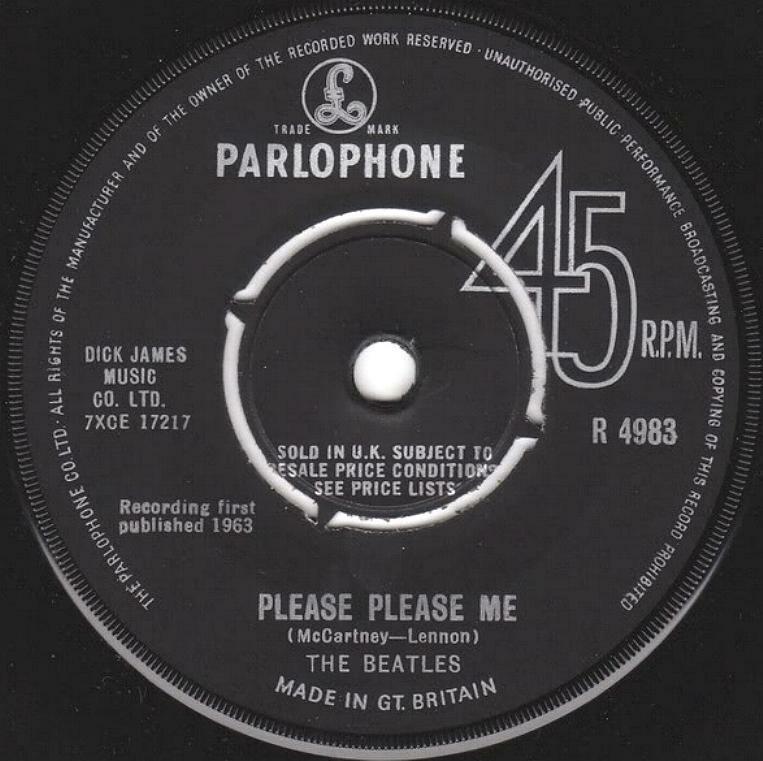 BRITAIN” are not printed below the Parlophone logo. 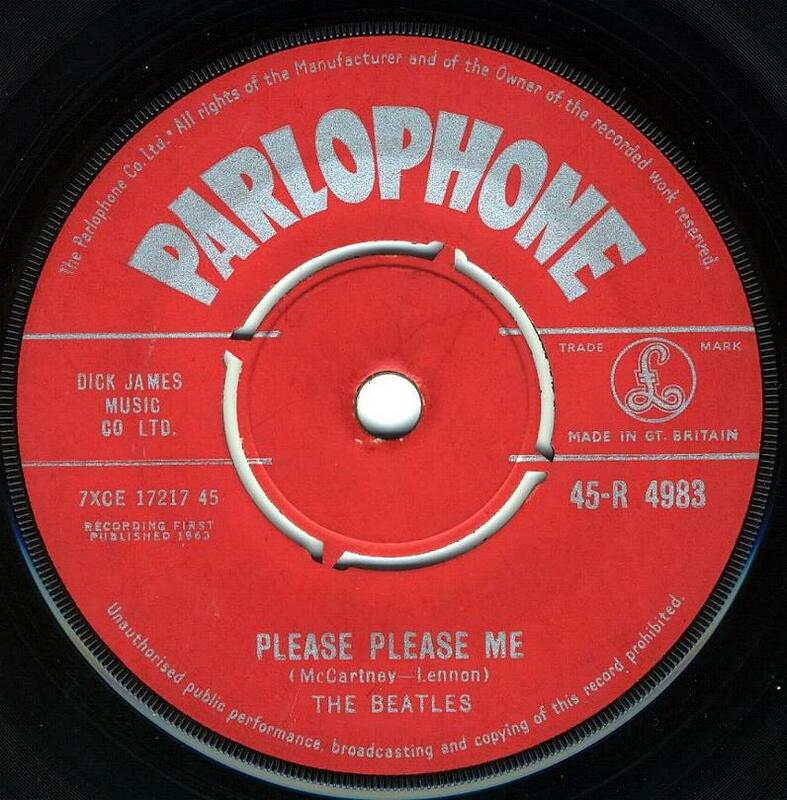 Parlophone changed to red labels in 1958 and used them until January 1963. 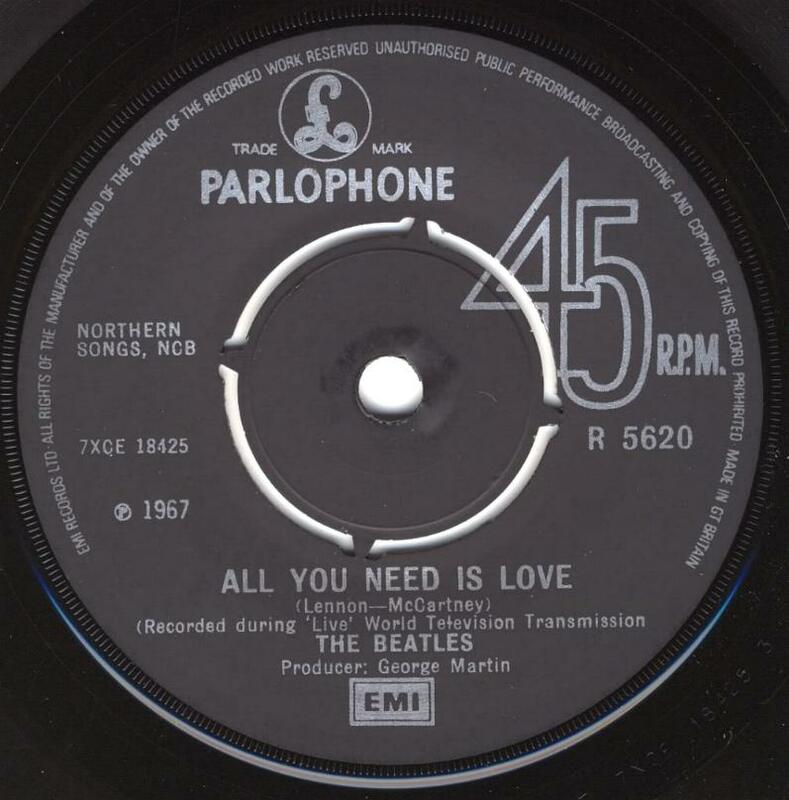 Parlophone started to use a completely new label design in January 1963. The new label was black and silver print, with a new logo and “45 R.P.M.” printed on the right side of the label. The “45-“ prefix was temporarily saved. There are both labels with capitalized and non-capitalized perimeter print. These two label version were used concurrently. 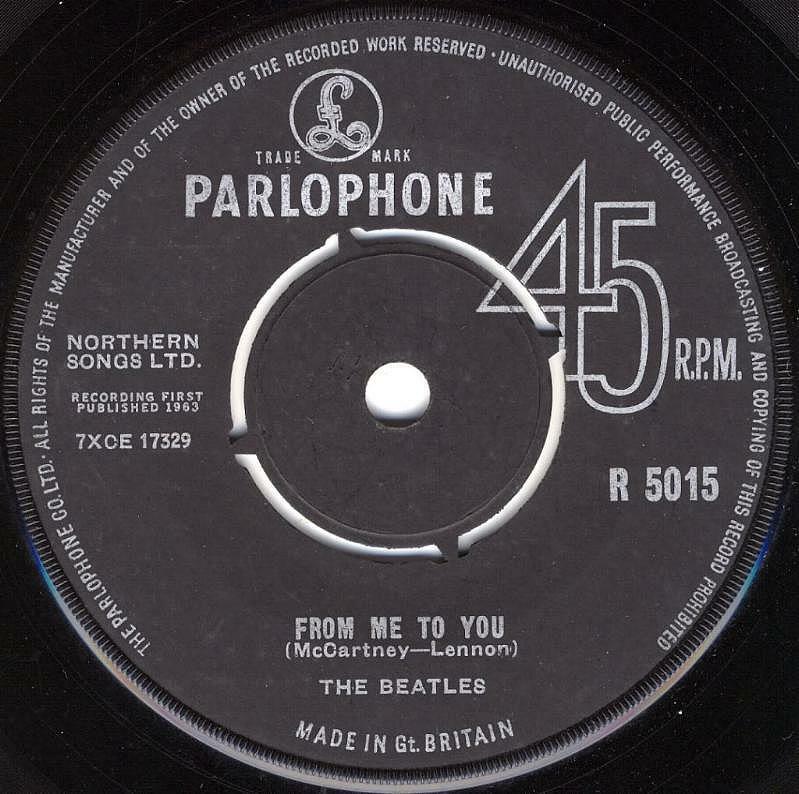 On some of the labels with capitalized perimeter print, the Parlophone logo is slightly reduced in size. Label used between January 1963 and March 1963. 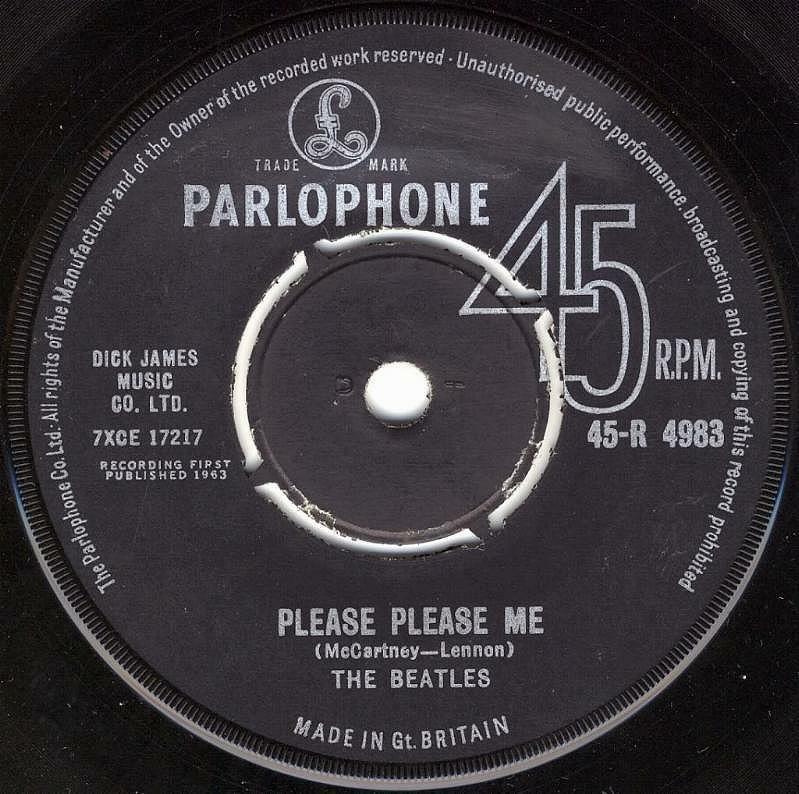 Parlophone dropped the “45-“ prefix in spring 1963. The publishing year was saved as “RECORDING FIRST PUBLISHED 1963”. There are both labels with capitalized and non-capitalized perimeter print. These two label version were used concurrently. Label used between March 1963 and January 1964. 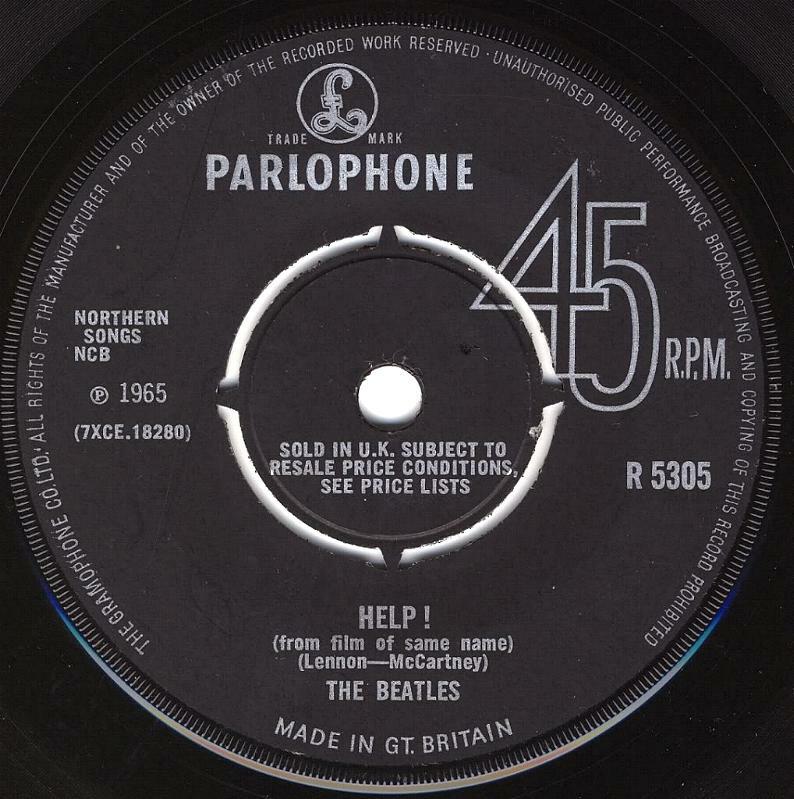 The text “SOLD IN U.K. SUBJECT TO RESALE PRICE CONDITIONS, SEE PRICE LISTS” was printed on EMI records between February 1964 and June 1969. This wording was supposed to be on UK releases only, but it also appears frequently on exported records. The publishing year was saved as “RECORDING FIRST PUBLISHED 1963”. There are both labels with capitalized and non-capitalized perimeter print. These two label version were used concurrently. 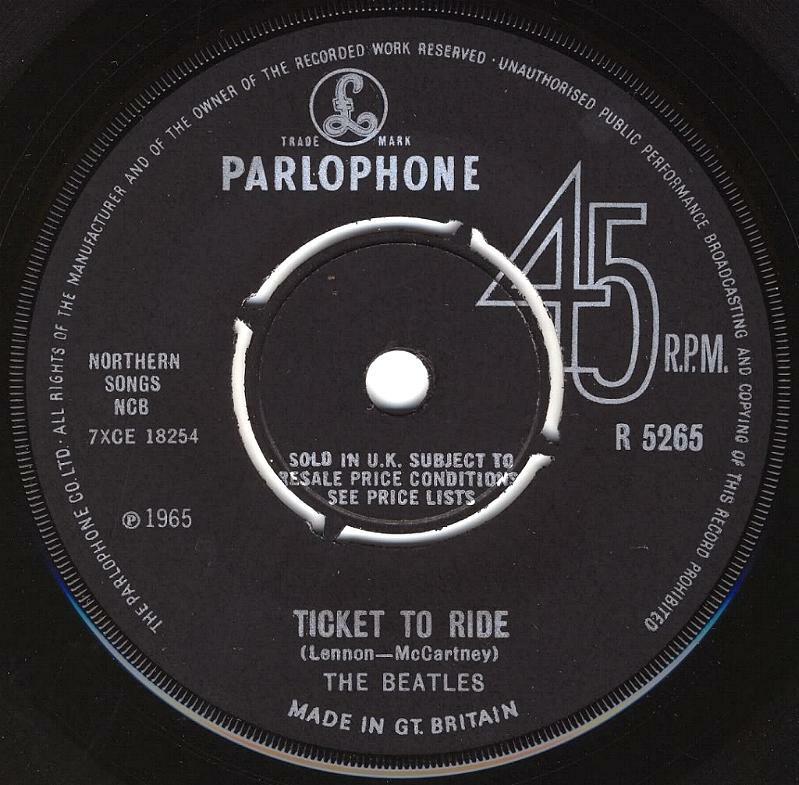 On some of the labels with capitalized perimeter print, the Parlophone logo is slightly reduced in size. In the beginning of 1964, the ratio between non-capitalized perimeter print singles and capitalized perimeter print singles was equal. After September 1964, almost all singles had a fully capitalized perimeter print. Label used between February 1964 and January 1965. 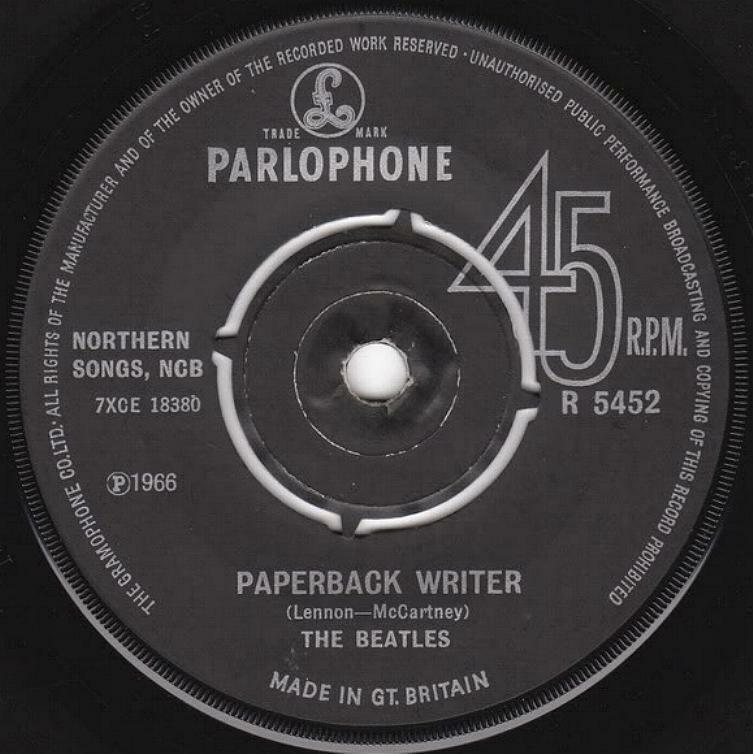 Parlophone started to print the publishing year as “(p) 1965″ in January 1965. 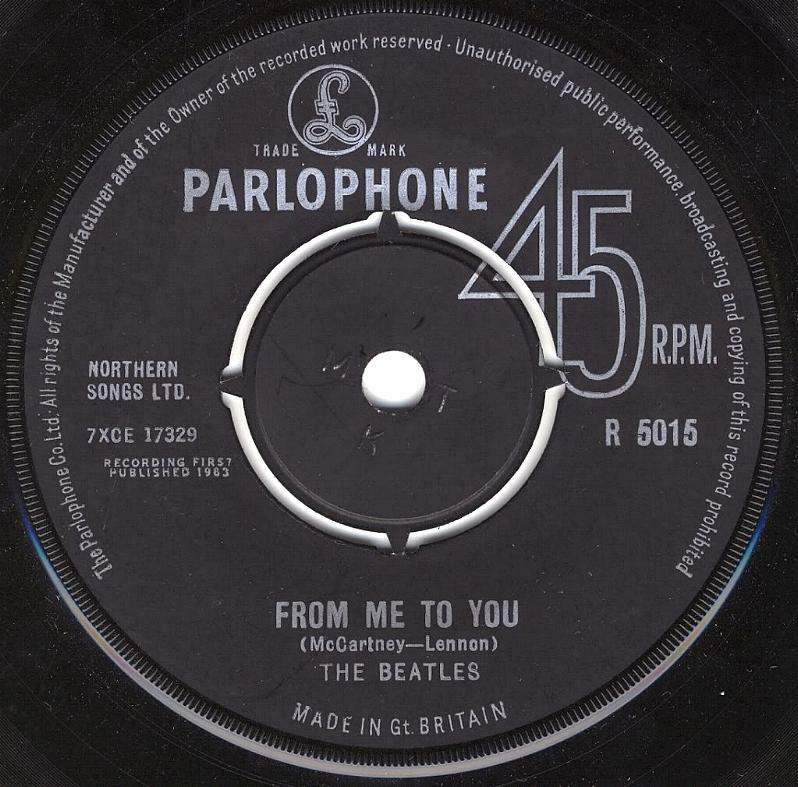 Label has “THE PARLOPHONE” printed at the start of the perimeter print and “SOLD IN U.K….” text. This label was in use for a relatively short period of time before the perimeter print was changed. The text “RECORDING FIRST PUBLISHED“ was removed from the label. 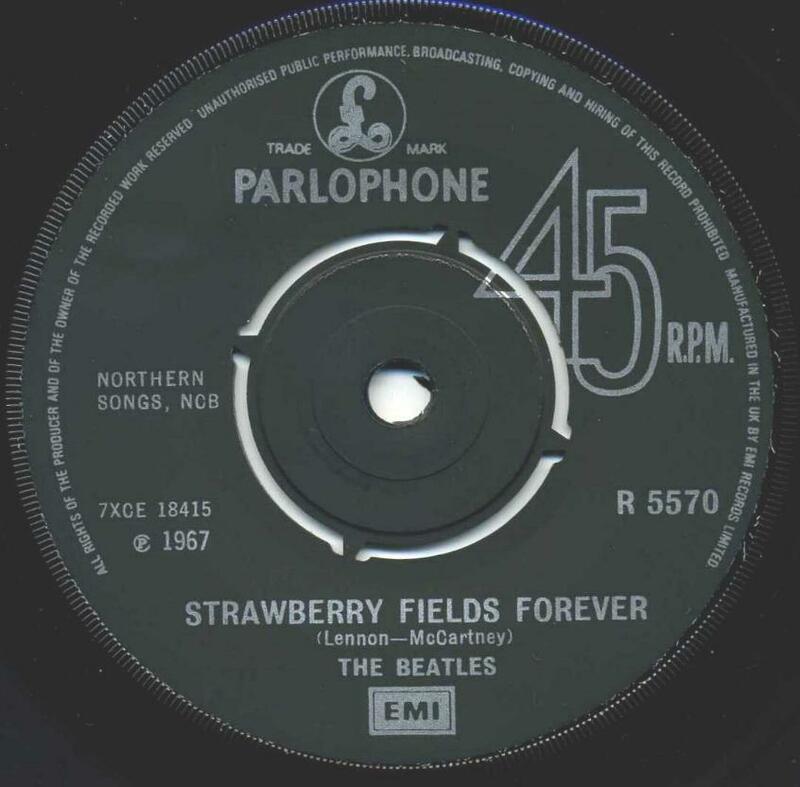 All of the singles released 1965 and onwards had capitalized perimeter print and the Parlophone logo slightly reduced in size. Label used between January 1964 and December 1965. Parlophone ceased to be a limited company in its own right, to become a subsidiary of the parent Gramophone Company Ltd. on July 1, 1965. Because of this, the start of the perimeter print was changed to “THE GRAMOPHONE CO. LTD…”. The first of these labels appeared in October 1965. “SOLD IN U.K….” text was saved. Label used between October 1965 and July 1969. The text “SOLD IN U.K. SUBJECT TO RESALE…” was removed from the label in July 1969. These labels used between July 1969 and late 1971. EMI added their logo at the bottom of the labels in February 1972. EMI continued to release singles on the Parlophone label until early 1973. The tex “MADE IN GT. BRITAIN” was removed from the bottom of the label. Instead, added “MADE IN GT. BRITAIN” text at the end of the perimeter print. Label used between February 1972 and October 1980. In October 1980 the rimtext was again slightly altered so that it started with “ALL RIGHTS OF THE PRODUCER…”. Importantly, around the 11 ‘o’ clock position in the rimtext the wording is: “…UNAUTHORISED PUBLIC PERFORMANCE, BROADCASTING, COPYING AND HIRING…”. Instead, added “MANUFACTURED IN THE UK BY EMI RECORDS LIMITED” text at the end of the perimeter print. 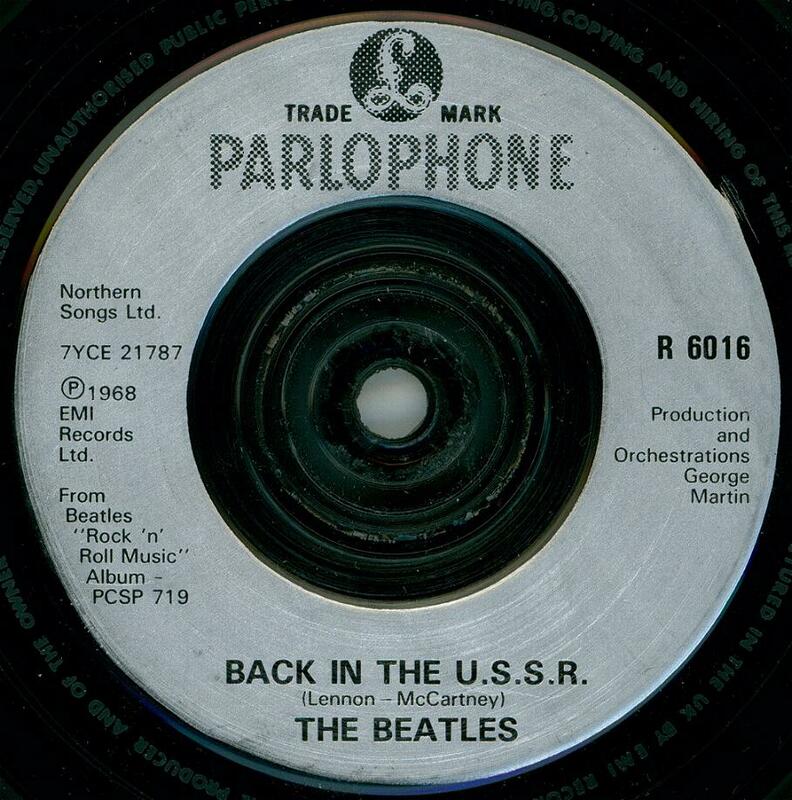 This label used between October 1980 and October 1982 (“The Beatles Singles Collection, 1982”). The final pressing has silver label with black textur print and logo. Rimtext embossed on the trail off area. The rimtext wording is: “UNAUTHORISED COPYING, HIRING, RENTING, PUBLIC PERFORMANCE AND BROADCASTING…”. This label used between end of the 80s and begin of the 90s. The N.C.B. label credit is believed to be an abbreviation of “Nordic Copyright Bureau” which is an organisation for collecting royalties on records sold in Norway and Sweden. The most common center for an EMI group 7″ record was the four-spoke push-out center. EMI decided in November 1966 to only press singles with solid centers. 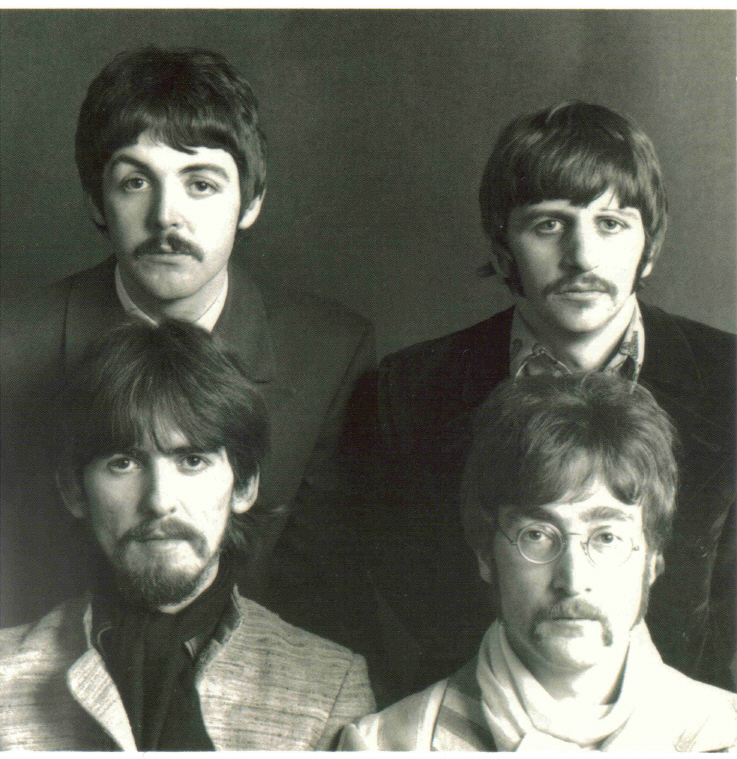 However, they continued to produce push-out center singles for “special purposes”. One of the these “special purposes” seemed to be export, another for use in jukeboxes. Some reports state that the ratio between push-out centers and solid centers were 20/1 at the beginning of 1967. P.S. Other information about Parlophone you can look in the category “Parlophone UK Albums”.